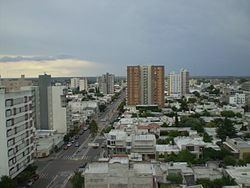 Santa Rosa ([ˈsanta ˈrosa]) is a city in the Argentine Pampas, and the capital of La Pampa Province, Argentina. It lies on the east of the province, on the shore of the Don Tomás Lagoon, at the intersection of National Routes 5 and 35. The city (94,340) and its surroundings hold 102,610 inhabitants (2001 census ),Census-ar 2.010 hold 124.101 inhabitants the capital y Toay around a third of the population of the province. Its current mayor is Leandro Altolaguirre. Founded in 1892 by Tomás Mason, Santa Rosa did not develop into a relatively important agricultural centre until the second half of the 20th century. 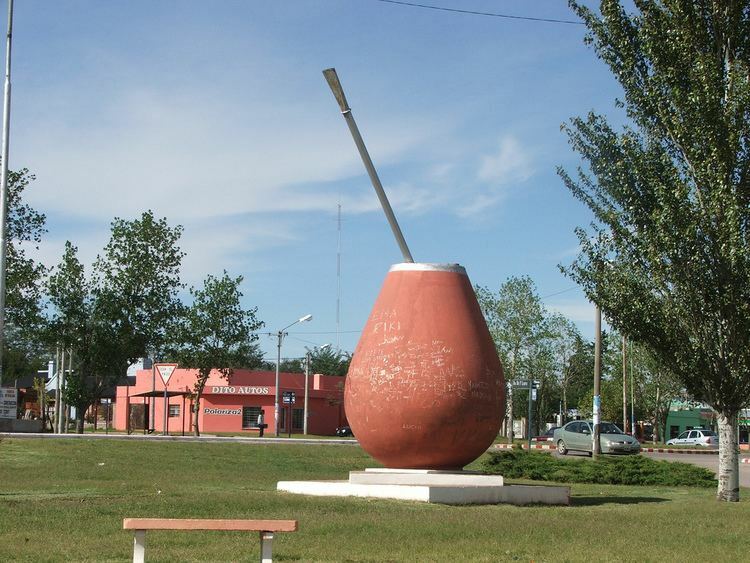 It is still one of the smallest provincial capitals of the country after Patagonian Rawson, Ushuaia and Viedma. City sights include the Fitte neighbourhood (1930), the monument to San Martín, the Palace of Justice, the Teatro Español Theatre (1908), the Provincial Art Museum (with paintings by Raúl Soldi, Antonio Berni, Quinquela Martín and other important Argentine painters) and the Provincial Natural History Museum. The Santa Rosa Airport (IATA: RSA, ICAO: SAZR) is located 2 kilometres from Santa Rosa on Route 35, and serves regular flights to Buenos Aires and Viedma. 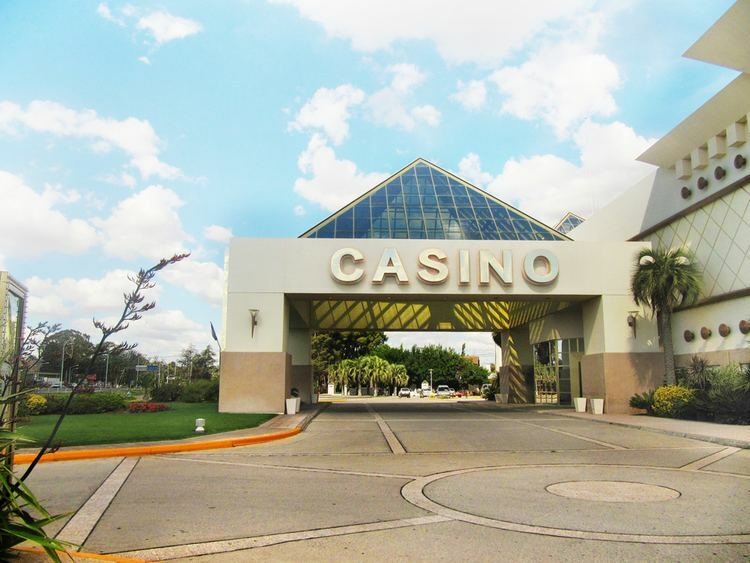 Near Santa Rosa is the city of Toay, together both cities form the Gran Santa Rosa metropolitan area. Santa Rosa was founded on the western edge of the Argentine Pampas, in the range of contact of two different natural environments: the end of the plain and the beginning of the land of the Pampas broken valley. The town occupies part of a centripetal basin having their base in Don Tomás Lagoon, where to drain rainwater from the surrounding area. The floor area lies west of it, in hilly terrain where the highest elevations are in the east, with two small plateaus located 200 meters. This high turnover is also observed north, with heights up to 195 meters. From here the terrain descends to the west and south, with slopes that are steep in some areas, since more than 3%. The southwest sector is lower and less undulating area, descending to 167 masl. Santa Rosa has a humid subtropical climate (Cfa, according to the Köppen climate classification, with Cwa influence), with warm to hot summers and chilly, dry winters. The highest temperature recorded was 45.7 °C (114 °F) on January 6, 1955 while the record low is −12.7 °C (9 °F) on June 13, 1967. The city is home to football team, Club Atlético Santa Rosa, Club Atlético All Boys and Club Atlético Belgrano.